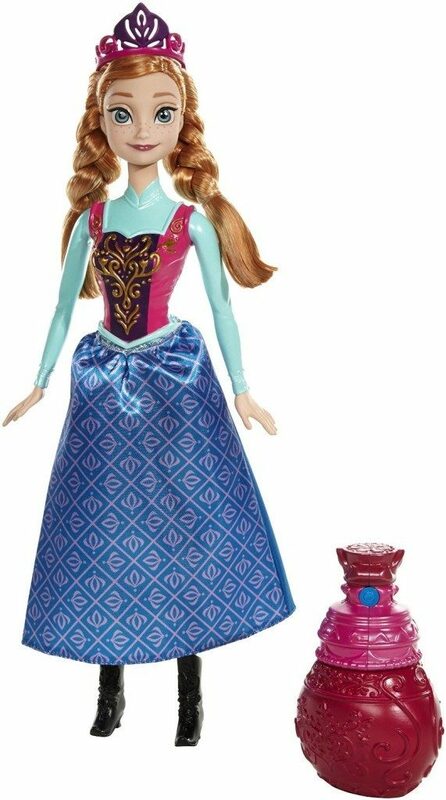 Disney Frozen Royal Color Change Anna Doll Only $6.73 (Reg. $21)! You are here: Home / Great Deals / Amazon Deals / Disney Frozen Royal Color Change Anna Doll Only $6.73 (Reg. $21)! Oooh here’s a HOT deal on a doll for all your little Frozen lovers! Right now, you can get the Disney Frozen Royal Color Change Anna Doll for just $6.73, down from $21! And, shipping is FREE with Amazon Prime or with Super Saver Shipping when you spend $35 or more! My daughter would LOVE this doll, so I’m grabbing it now for her birthday!